Manager when we arrived very cold and not friendly. Family behind us got the better treatment with smiles and much better first impression. My sister and I went to the Uncle Julio’s in Vernon Hills on Easter Sunday at 4:00. It was a quiet time so we could talk about family business and catch up. I arrived first, and was seated without both of us being there, which I appreciated. Our server, Jackie, was fantastic! She was attentive, and checked frequently to see if we needed anything. She always took care of any requests, and never pressured us to order, so the pace of the meal was just as we needed it to be. The food was especially delicious, and we tried a new appetizer for us - the roasted vegetable quesadillas. We will definitely get those again. The guacamole was nice and chunky, and we got plenty of chips and salsa while we talked. The drinks were great. I highly recommend the fresh grapefruit margarita, but my sister really liked the mojito. My sister had the tortilla soup, which she said was wonderful, and I had the chipotle glazed salmon, which was also delicious. We rounded out our meal with sopapillas. 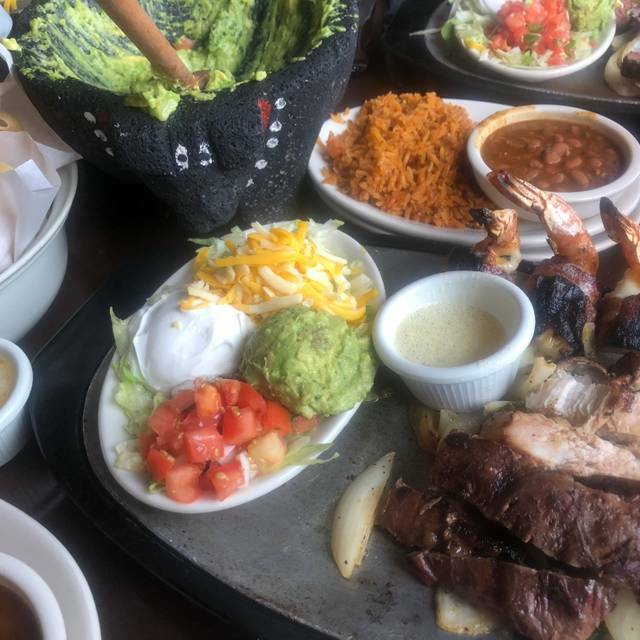 We always love to eat at Uncle Julio’s, but Sunday’s experience was exceptional. We recommend Uncle Julio’s to everyone we know, and we will continue to be repeat customers! It was Easter Sunday so not a traditional Easter lunch which was fine with us. We always love Uncle Julio’s but it seemed like there second or third string chefs were in today. Maybe the first string took Easter off. Enchiladas seemed slopped together and meat/beef was way overdone and dry. I think manager lady also knew things were not going well because it was only 1230 and she seemed like she had already seen way to many complaints that day. We let ours ride and said nothing but it definitely was not what we expected from them. We arrived at 6:30pm and left the restaurant around 7:45pm - this is how quick the service was. The food came out hot, it was delicious and filling. Our server Jose did a great job. He was attentive and we appreciate that. We will certainly return in the future. 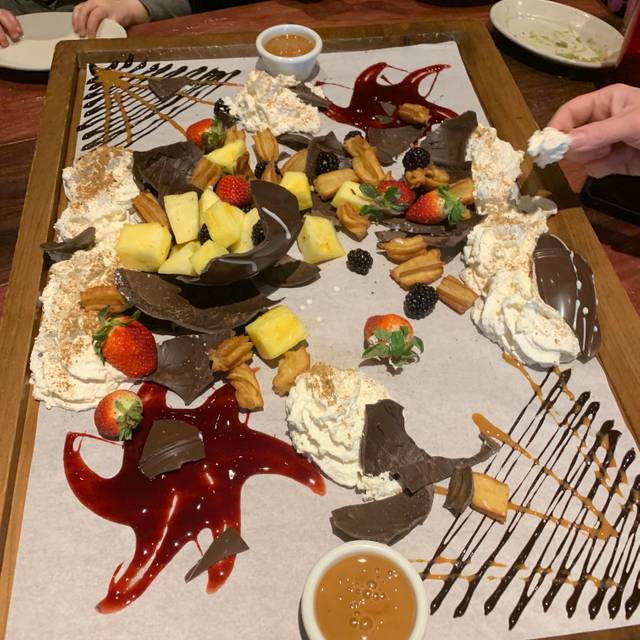 The Chocolate piñata is Fun! Jen, thank you very much! We will certainly give Carter the kudos he deserves! First time - excellent service and food. Decor and ambiance were a pleasant surprise. Good value and we will return. I recommend Uncle Julio's replace plastic straws with paper or other compostable straws. Even try eliminating straws in water glasses - not needed and especially plastic straws are not environmentally friendly. The food was cooked properly, however was served to our table cold. The salsa was way too smoky and the chips were very oily and over salted. Lots of chips to start you off and plenty of great options for entrees. Get the table side guacamole! - Server brought main course before appetizer - seriously? 2nd time experience, we are planning our next visit already...great food and service. They don't seem to understand what a reservation is. 6:30 reservation, seated at 7:10. Waiters extremely inattentive. Hard to have a conversation going with the loud music. Food very good. We had an amazing dinner! We had the table side guacamole and fajita chicken quesadilla for appetizers. The quesadilla was by far the best quesadilla I’ve ever had! Chicken had a light Smokey flavor and was very tender. We shared the steak fajitas for two for our entree which was a more than adequate amount for us! 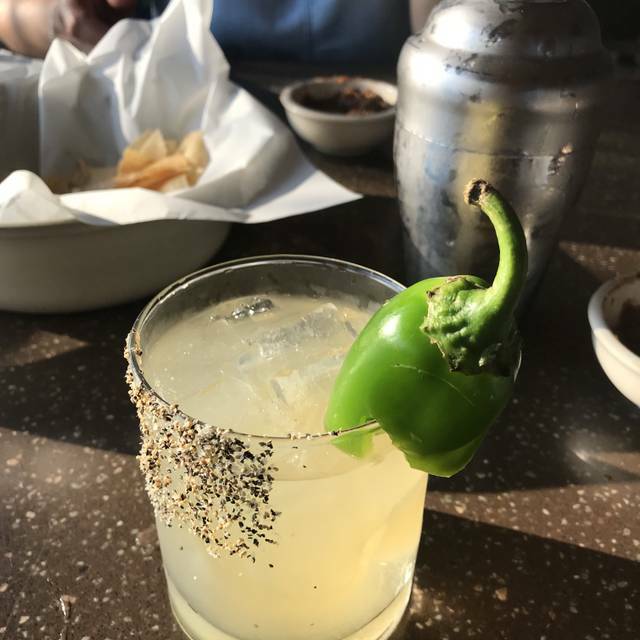 Very savory flavors and excellent from scratch margaritas! This dinner did not disappoint and we will be back! Great food and atmosphere!! Would highly recommend making reservations. Food was great. Server was wonderful. Was extremely busy. Only negative was, the restaurant was very loud. Realize there is nothing they can be done but made it a bit hard to hear people at my own table. Otherwise a great experience. Chips and salsa are great. 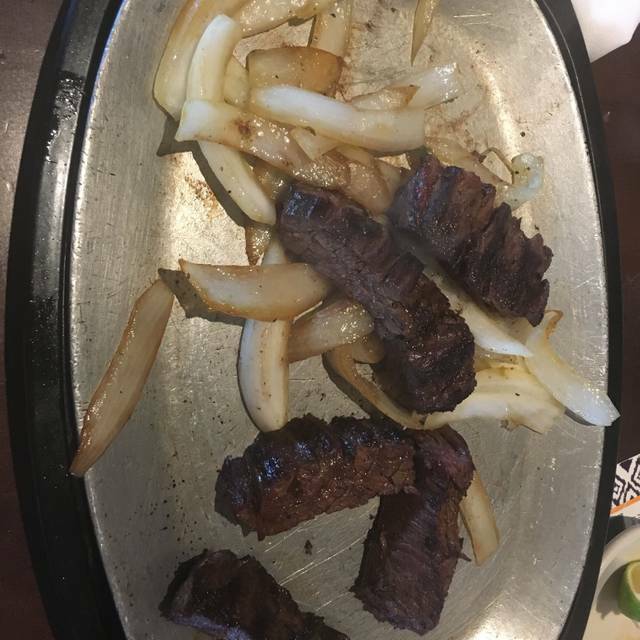 Generous lunch portion for the fajitas. The food and drinks were excellent, and our waitress was great. Abby, thank you...we are thrilled fun was had by all! This is another favorite place to eat. Love their fresh made guacamole and steak fajitas! This visit was just ok. Our server was overwhelmed with several tables and he did not stop by often to fill drinks, etc. Ordered the fajitas for two. Meat was undercooked and tough. One of those bites into the tortilla where you drag everything (cheese, guacamole, veggies) out onto the plate because the meat is too tough. Our server,Tim was outstanding. He checked in the kitchen for all our special needs and went out of his way!!! I have recommended Uncle Julio's to others. They have enjoyed it. 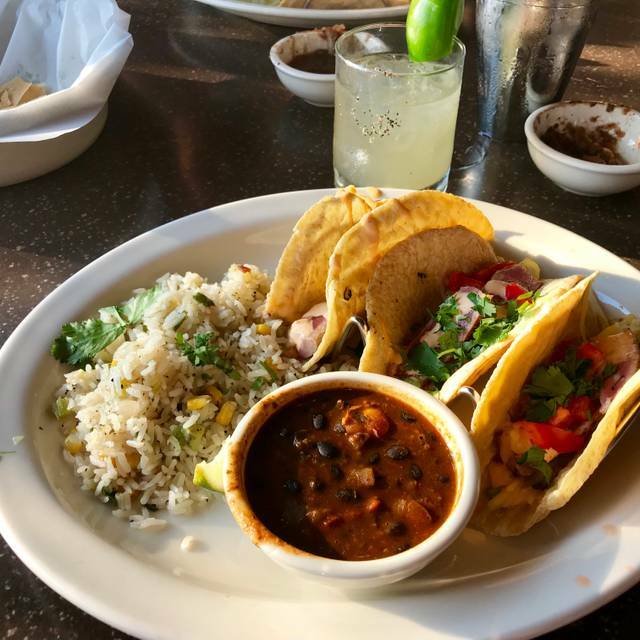 Good food and great margarita selection, we dined al fresco and enjoyed it very much! Good food, good service. Good for groups. Reservations recommended for dinner. The food was great. However, we did not taste any tequila in the margaritas that we ordered - didn’t get what we paid for. Wonderful time celebrating my friend’s bachelorette party! Had a great meal with excellent service at noon on a Sunday. Meals are a little pricey but delicious. First time experience, great food, great service, cozy dining atmosphere. Looking forward to going again soon. Food was excellent however it was WAY overpriced. Drinks were also WAY overpriced. Service was mediocre at best. That said, the food was so good, I would still recommend it. Guava margarita served "Without" guava and "Without" liquor. "Absolutely No celebrations" especially when the reservation indicated birthday. No choices offered for Pinatas. We loved the food & music. All the people in my party thought the food was excellent. Guacamole was the best I ever had to, well worth it. I would highly recommend this place! Patricia, thank you very much! It’s overpriced for Mexican food the tacos are bland.